The SG Table Football Premier League had a make-up matchday today (28/09/2014) at Stadium De Imagio. 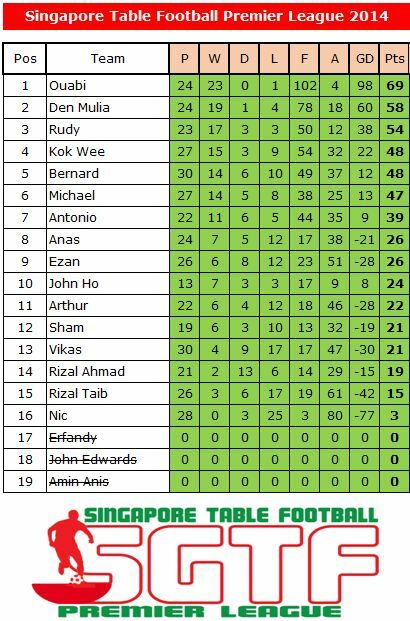 A total of 6 Premier League games were played with our Rochefort World Cup hero, Rudy Hesty Roselan, making his 1st appearance on the local table football scene since his history-making exploits at the World Cup. He continued his great form at the World Cup with a 100% record today – winning all his 4 games to move up to 3rd place.